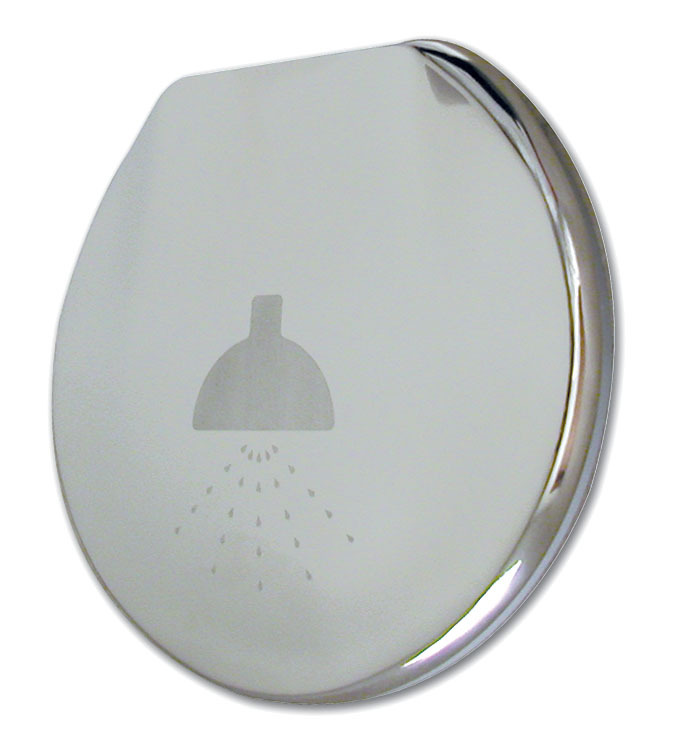 The highly polished and passivated 316 stainless steel lid on this transom shower features a positive latch. 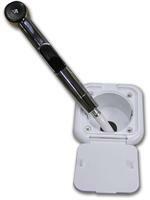 Door has a stop point so it won't scratch your gelcoat when open. 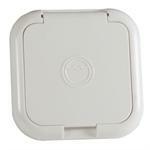 Mounts on horizontal or vertical surfaces and can can open up or down. 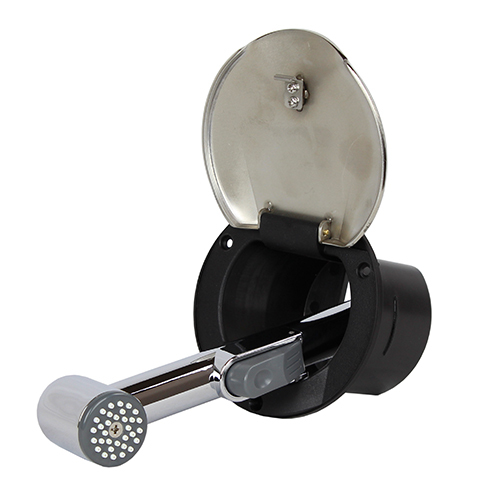 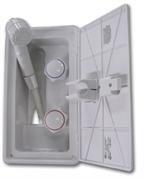 Lid opens to access the chrome plated plastic shower wand that features a convenient trigger and 8' nylon hose. 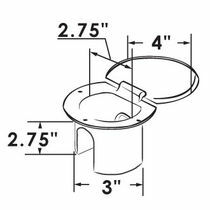 Overall dimensions: Lid is 4-1/8" diameter, cup requires a 3" hole cutout and is 3" deep. 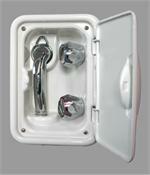 Includes a nylon mesh bag to contain the hose below deck. 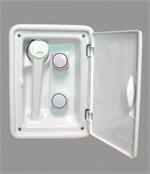 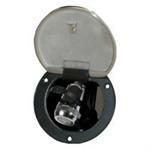 Makes a beautiful addition or replacement for that old, cracked, yellowed plastic transom shower!